Color in Art is a book that explores colours as they used in paintings from history. There are over 200 artworks featured, includes mostly paintings but there are also other ornaments, statues, etc. 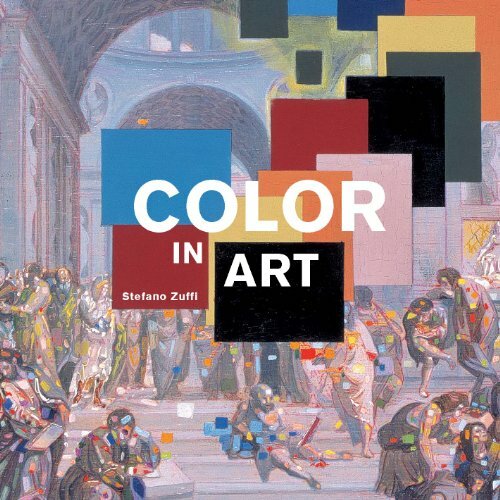 Art historian Stefano Zuffi looks at each one and talks about the significance of the colours as they are used in the art, and also about the colour as a material. The text also talks a bit about the artists, background of the artworks and the time period around the time they were created. Many of the artworks are quite famous. It's an interesting read. For example, it talked about blue as it evolved from a 'barbarian' colour to something that's popular in current day in jeans, uniforms, etc. There's a bit on the colour phases that artists went through, such as Goya's black paintings, or Picasso's Blue Period. The book does not cover the colour harmony part. It just focuses on the dominant colour of the subject, which I guess for the purpose of the book is enough. It's an insightful book worth checking out, and reading through will give more meaning to the artworks you might already know of.